Mitchell Family Chiropractic Welcomes You! 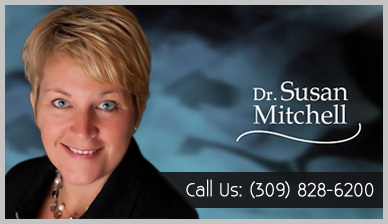 At Mitchell Family Chiropractic, Bloomington Chiropractor Dr. Susan Mitchell is joined in practice by Dr. Kasey Riesberg and Dr. Jeff Schmidgall. Our team is here to support your wellness, helping you reach your health goals with safe and effective natural care. We’ll combine tradition with technology to give you the most modern, state-of-the-art chiropractic care. 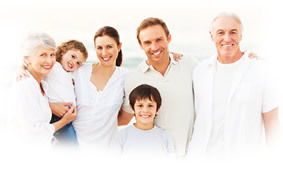 We utilize several different methods, selected for you based on your level of health and your comfort. All ages can receive care at our office, including those with osteoporosis. After a comprehensive evaluation, we’ll understand the cause of your problem and how best to treat your particular needs. If you’re curious about what we’ve done for other people in our community, we invite you to read through some of our Patient Reviews. 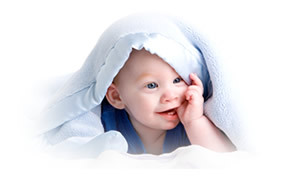 We’re here to answer any questions you might have about our chiropractors Bloomington. Contact our friendly team today to schedule your appointment! Looking forward to working with your office. Just go see these folks! They are so awesome….awesome people love them! Very attentive to my concerns, thorough with my exam, & precise with my adjustments. Great positive energy from the staff to each patient that came through the door. Thank you for taking the time to help me. Looking forward to my future visits. The staff is very friendly, as well as the doctors. The environment is very welcoming and pleasant. Everything was explained in an understandable way and I look forward to getting well with their help. I really appreciate the way Dr. Kasey took the time to explain everything to me and answered all my questions. 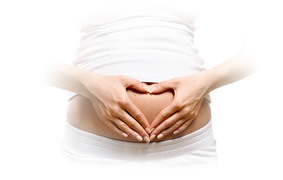 She has made me feel very comfortable with implementing the treatment plan we have set up. Casey was super nice, made me feel comfortable!! Your office dealt with three small children and a tired mama very well. Thanks for the kindness and positivity. Thanks! Very pleased with my first visit. A very thorough consultation! So excited to get started with my treatments. I was so impressed with the entire staff! Great experience. Staff was very welcoming and friendly. I thought the tour of the practice was a very nice touch! I really was impressed by how helpful and knowledgeable everyone was at Mitchell Family Chiropractic. Also, everyone was welcoming. I feel very confident that my problem can be fixed. Everyone made me feel at ease! I am blessed to be a part of this practice. Very prompt and courteous service along with a professional comfortable feeling. The best experience I’ve ever had with a Chiropractor!! Amazing, friendly staff! Glad I made the decision to come in!!! I’m very excited to be a new patient! Staff was very kind and professional. I felt very comfortable! Excited to come back for next appointment. Very pleased with the care I have received and the staff is wonderful! Its great and unique blend of expertise, experience, technological improvement and patient care culture. Loved doctor attitude….it was contagious! All positive! I feel that for the first time in years, I am finally on the right path to recovery and getting the help so I can start living my life. So glad I found you! Such a caring and well run office! Glad to finally be a part of something I’ve heard great things about! Dr. Jeff had great questions about my health situation and provided lots of answers and information regarding what they could do for me. I’m looking forward to better health! Super friendly and helpful staff. Great atmosphere. We love Dr Mitchell. Our 6 month old loves her too… as well as her necklace! My privacy was taken into consideration and I appreciated that very much. Love the atmosphere and instantly saw how happy and relaxed the other patients were! It was a wonderful first visit. I am looking forward to continuing care with Mitchell Family Chiropractic. Great first visit! Very friendly staff and helpful information explained to me! Looking forward to continuing my appointments here! I just really love everyone at this office!! I always feel welcome and heard! The atmosphere in the office is very peaceful and I believe enhances the healing process. I’m a believer. Helped me stand up straight after first visit and after 3 days pain is better and on the road to recovery.Thank you! Very professional and staff was very friendly. I was amazed by the out come of only my first visit. - no matter your age!